Valid driver’s licence minimum Code B. Computer skills and project management skills. Participate in interventions of the Provincial and National Departments in respect of social support, relief and empowerment programmes, interacting with the public and dissemination procedural information. Benefits: 13th cheque, leave, 100% retirement annuity fund contribution by employer, pension, medical aid, housing subsidy. 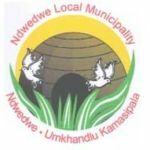 Written application letter together with comprehensive Curriculum Vitae (CV), certified copies of ID, driver’s licence and all qualifications must be forwarded to: The Acting Municipal Manager, Ndwedwe Local Municipality, P/Bag X 503, Ndwedwe, 4342. Faxed, e-mailed, Z83 forms and late applications will not be considered. Enquiries can be directed to: Human Resources Office, on tel. 032 532 5000. Should you not be contacted within the period of 30 days after the closing date please consider your application unsuccessful. 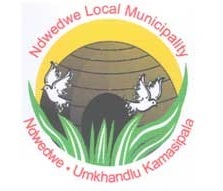 The Municipality subscribes and promotes the principles of employment equity and affirmative action. Women are encouraged to apply.